In the 2013 Residential Landscape Architecture Trends Survey conducted by the American Society of Landscape Architects (ASLA), 95.1-percent of the respondents across all categories rated lighting (#3 in the rankings) as one of the most in-demand items for the coming year. Ranked ahead of lighting were fire pits/fireplaces (97.0-percent), and grills (96.3-percent). The most popular outdoor design elements were outdoor living spaces (94.5-percent), gardens/landscaped spaces (94.4-percent), and outdoor recreation amenities (76.3-percent). As we tell all of our customers, it is important to have the design elements in place first before completing a lighting design. That way we can conduct an evening lighting design demonstration to actually show you how your property will look after dark. That’s the best way to ensure that you’ll be receiving maximum enjoyment of your property during the evening hours. 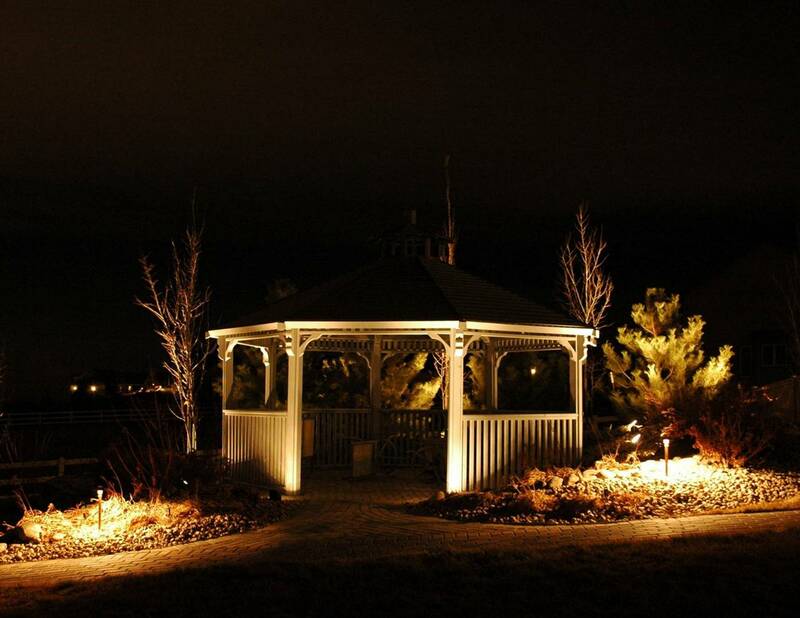 Now that it’s finally Spring in Colorado (I think we just jumped directly to Summer), Outdoor Lighting Perspectives of Colorado has begun scheduling evening lighting design demonstrations. 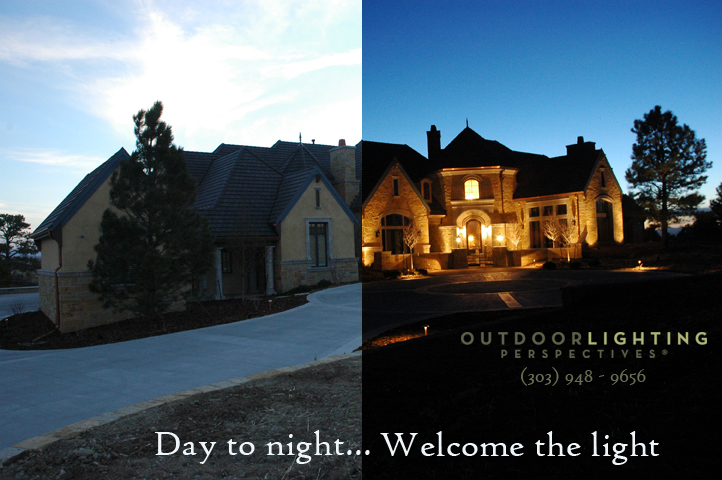 So give us a call 303/948-9656 if you would like to see how beautiful your landscaping can look after dark! One of the things we offer is a free nighttime demonstration so that you actually get to see what a particular lighting design will look like for your home and property – prior to an installation. That eliminates all of the guesswork and surprises – and you will know exactly how much you will have to invest to achieve that desired lighting effect. Most of our typical lighting installations in Colorado range in price between $3,500 and $6,500. Not surprisingly, most homeowners have no idea how many lights they may need or want – or what their investment range might be until we do the evening lighting demonstration. And that’s perfectly OK because we do not want you to purchase a lighting system sight unseen. It is your house, not our’s – and you know best how you would like to have your house and property illuminated in the evening. Exact placement of the fixtures can be determined in order to safely light steps and other hazards, and to effectively light architectural features. We can show you several different lighting options that you may not have considered previously. The evening lighting demonstration is an event that your entire family can participate in and provide input to the lighting design. Here is what you will see.